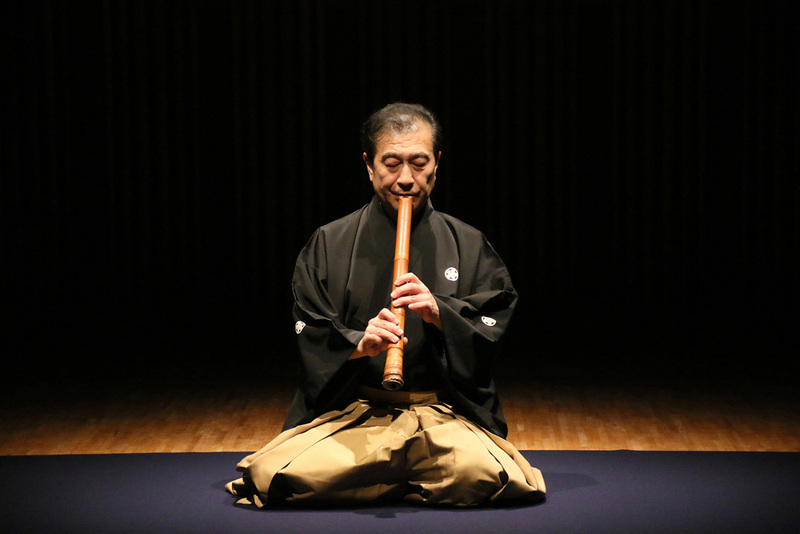 SUGAWARA Kuniyoshi started playing shakuhachi aged 12, learning Tozan Ryū and Kinko Ryū from YOKOYAMA Katsuya. Aged 21, he won first place in the Hokkaido Sankyoku competition, and became a professional shakuhachi player after winning the All Japan Sankyoku Competition. When he was 25 he took second place in both the solo performance section and the ensemble performance section of the ‘Pan Music Contemporary Music for Traditional Instruments’ competition. SUGAWARA has performed many times on television and radio, both in Japan and overseas. He plays solo koten honkyoku and also collaborates with Sapporo Symphony Orchestra, Kanazawa Orchestra ensemble and the big band ‘New Herd’. Over the last 20 years he has released many CDs, has taught and published many books and videos which have been well received by beginners. SUGAWARA is the president of the ‘Sugawara Hōgaku Research Laboratory’ in Tokyo, Sapporo, Hamamatsu and Nagano. He is a part time lecturer at Hokkaido University, and runs the shakuhachi societies in Chuo and Hokkaido University. He is the director of the Sapporo Sankyoku Association, as well as being a member of the Kokubunji Sankyoku Association.